This looks awesome! (Especially that gooey sticky sugary layer in the middle). Can’t wait to try it! Oh man! Such a bummer about the charmer!! So sorry, but I bet there is something even better out there for you guys!! Plus, You will have fun finding it! Ok now this cake?? The cinnamon sugar layer totally sold me. Heck yes!! 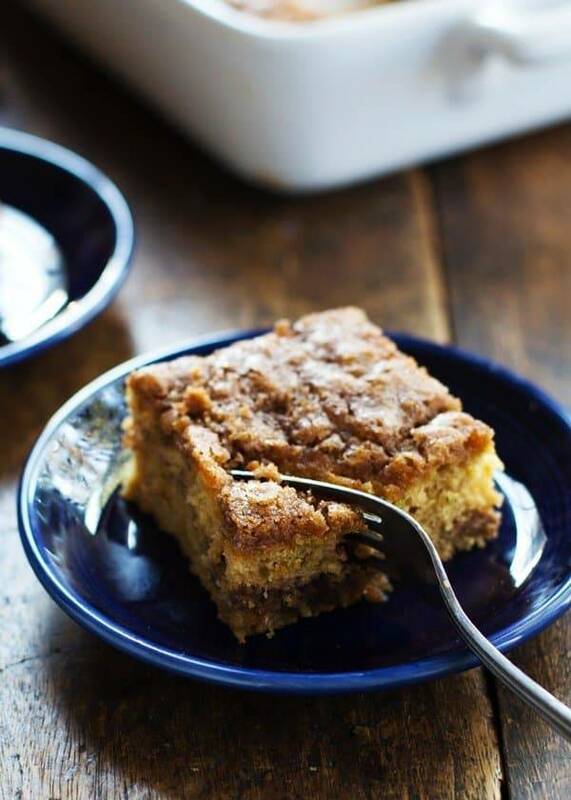 It is the perfect still summer, but kind of fall coffee cake and I love it! AH! I have that zucchini’s first cousin at home! So far I’ve gotten a few loaves of bread and this crazy southwest stuffing. I bought it for $1. I mean, who could resist?! PS. Your perfect house is waiting. I just know it! I have to admit, I’m one of the few people out there who have never baked anything with zucchini in it! Well, except maybe lasagna and other Italians style oven dishes… but nothing sweet. This coffee cake looks amazing though! I guess it’s time for me to fire up my oven! After this week’s posts you could do a zucchini cookbook next right? These are great, especially the zucchini parm. I second this idea! My mom always grows monstrous zucchinis every year and I am always looking for new ideas to cook or bake with it! A cookbook dedicated to zucchini would be fantastic! 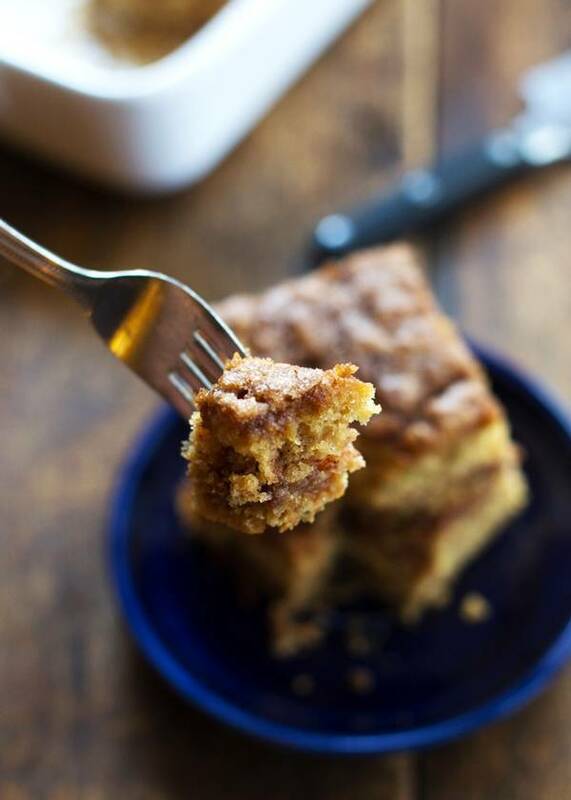 Cinnamon everything always – you might have just swayed me to put veggies in my cake. That zuc is seriously, ridiculously huge! Crazy town! I NEED to get on this! Delicious! I always volunteer to take friends huge garden zucchinis because I love to make zucchini bread. 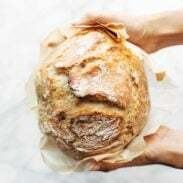 This recipe looks amazing and right up my alley!!! So is this the last of the jumbo zucchini!? I’m almost sad to see it go! I had a zucchini that size too! This seriously looks to.die.for. Anytime cake is always a winner in my house! Yummy! I hate to say it but this cake is going to have me out buying zucchini after I just spent weeks trying to get rid of it. Amazing! I love the little flecks of green and orange floating through the cake. And that middle layer! To die for! Don’t worry your house is still out there! Aw, sorry about the house! But at least you have this cake and it looks fantastic so I’m sure it’ll help cheer you up a little! Anytime cake really is the best and this looks so delicious! 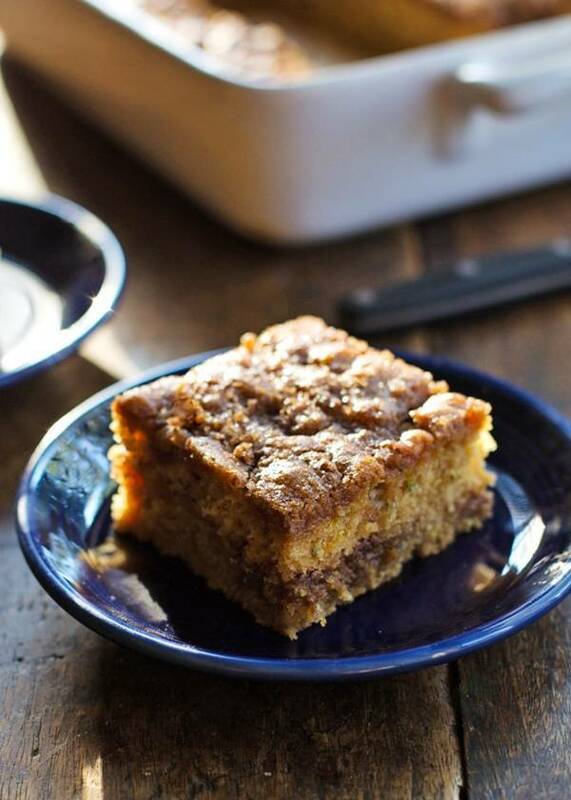 I love coffee cake and I love zucchini bread, so this mashup is just genius. Thanks for the recipe! Cake with zuke is always SO Good and so moist. This looks excellent especially b/c of all that cinn-sugar topping. YUM! Thanks Averie! 🙂 fingers crossed. Sorry about ‘The Charmer’, but you are right….keep looking. I didn’t say this in my original advice, but you will know the right house when you find it. The gap between your head & your heart will be small, and you and Bjork will agree. Glad to see you put that ginormous zucchini to good use! I love the idea of adding zucchini to coffee cake, I’ve only thought to make zucchini bread before but now I’ll have to give this a shot. Are you all zucchini’d out yet?!? I’ve been baking with zucchini like crazy lately, and now I will have to add this recipe to the list to try next. Looks pretty much like perfection! Thanks Monica! Starbucks coffee cake – yummm. I am making this tonight! I’ve gotten lots of zucchini from our CSA and am getting tired of sautéing it, frying it….but now I am super excited to make this!! Thanks! That would probably regular olive oil and virgin? I meant “and not virgin”. It’s all gone now and I don’t remember! 🙂 Anything really light tasting would work. There’s not really that much in the cake so I didn’t think it was a noticeable taste. 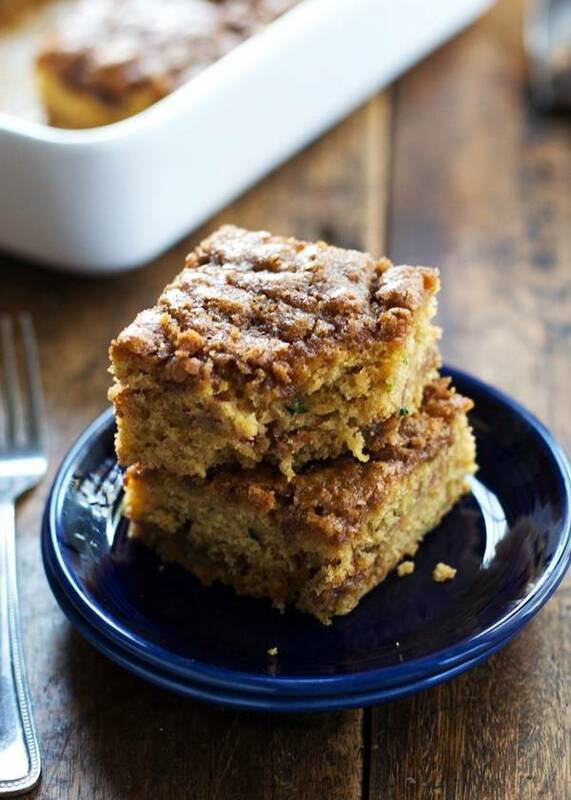 Zucchini coffee cake, yes, please. 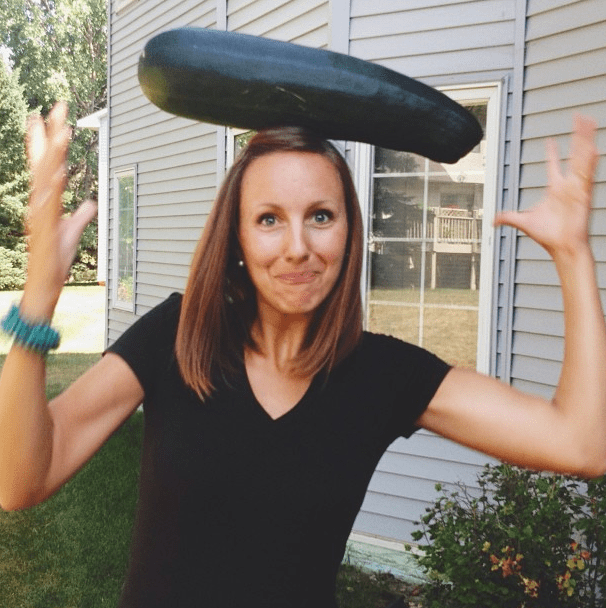 Looks like you were doing a great job bouncing that massive zucchini on your head.